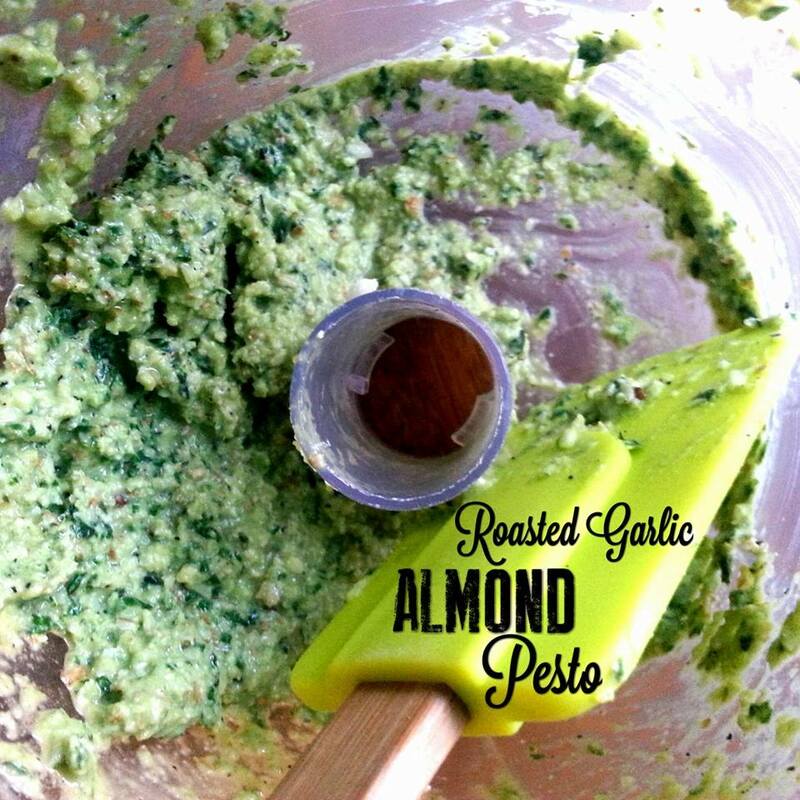 This pesto is so easy to prepare, and will add a fresh, bright flavor to any dish! Incorporate healthy fats and loads of flavor with only a few minutes of preparation. When I made this pesto, I coated some shrimp with it, and cooked them for about 1 minute on my George Foreman grill. I tossed them with some cooked spaghetti squash and asparagus for a delicious healthy dinner and it was fantastic! Click HERE to learn how to cook the perfect spaghetti squash. Using a toaster oven or conventional oven, roast un-peeled garlic cloves on a piece of tin foil for 10 minutes under the broiler. Once they become fragrant and have a nice browned look, remove them from their peels and add them to the food processor with all other ingredients. Blend until you have a nice bright puree. Enjoy on your favorite vegetables or proteins! This sauce will keep for 4-5 days in the refrigerator in an airtight container.